Since nearly everyone these days travels with at least a smartphone if not a laptop or a tablet, it is becoming harder to protect your data online and offline. Particularly while travelling, you are more vulnerable to scams and frauds. Thus it is more important for travellers to protect themselves from scams like identity theft. For the travel industry as well it is important to implement adequate fraud detection and customer identity verification measures to prevent credit card fraud. The risk of theft of valuables is increased as you are travelling to a foreign place and therefore are not aware of the environment and the people. 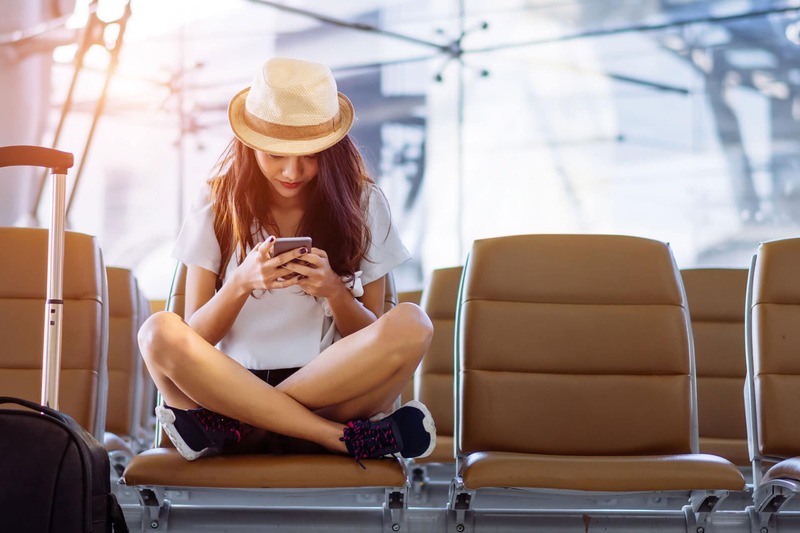 Although it is advisable to travel with as fewer valuables as possible, leaving behind your electronic devices is not an option for business travellers. Your best option herein is to install anti-theft software and apps on your smartphones and laptops. Some of the few such applications include Norton Anti-Theft, Prey and LockItTight. Such software can be very useful in case it gets stolen or lost and can help you track it, wipe passwords from your devices and retrieve all your files from the stolen or lost device. USB devices are said to be the major source of viruses and malware on your phones and computers. Never use a USB device given to you by strangers or someone you have just met a few hours ago on your trip. It is also important to take heed of the fact that 99% of the viruses induced through USB devices go undetected by our devices. Also, never use quick charge booths that are installed in public places. They may be the prime source for fraudsters to copy your data and install malware into your devices. Always travel with a power bank or use wall sockets to charge your devices. Keep your phone charged when you leave your hotel so you don’t need to resort to using such quick charge terminals. Credit card fraud is more common in some places around the than one cares to realise. Therefore it is important to protect your credit and debit cards. Although it is wiser to use cash instead of swiping credit cards at POS terminals, carrying around a lot of cash can also make you a target for theft. Frequent retailers and shops that use fraud detection systems and the sort of identity verification you can trust. Such systems allow merchants to detect fraudsters by identifying them through their documents and facial recognition. Also, make a habit of using ATMs that are linked with banks instead of public ones. Although our lives these days seemed to be intertwined with social media, it is always wiser to share a limited amount of information on it. We may be tempted to share pictures with our family and friends on SM, it can also make our homes a target for theft while we are away. It is best to limit the information you share and only make your posts visible to a close circle of friends that you trust.